Despite having lived in North America my entire life I somehow managed to exist for 27 years before I made it over the border to either Mexico or Canada. But in May of this year I finally added Canada to the list of countries I’ve visited! 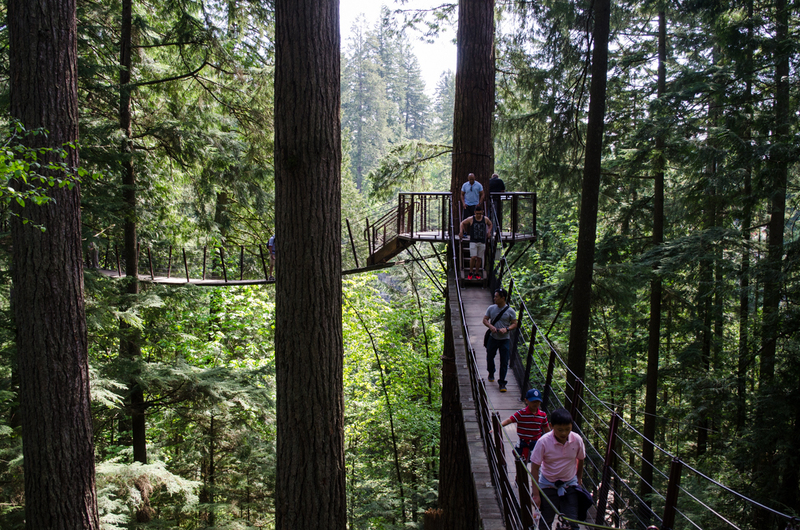 Vancouver is a short three hour flight from Phoenix and made for a perfect weekend escape. 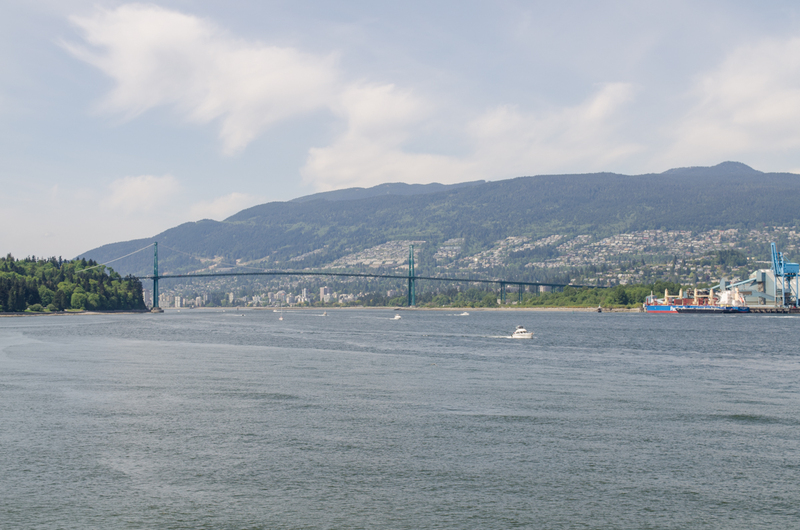 After experiencing the beauty that is Vancouver I’m sure that I’ll be making a return trip in the future. 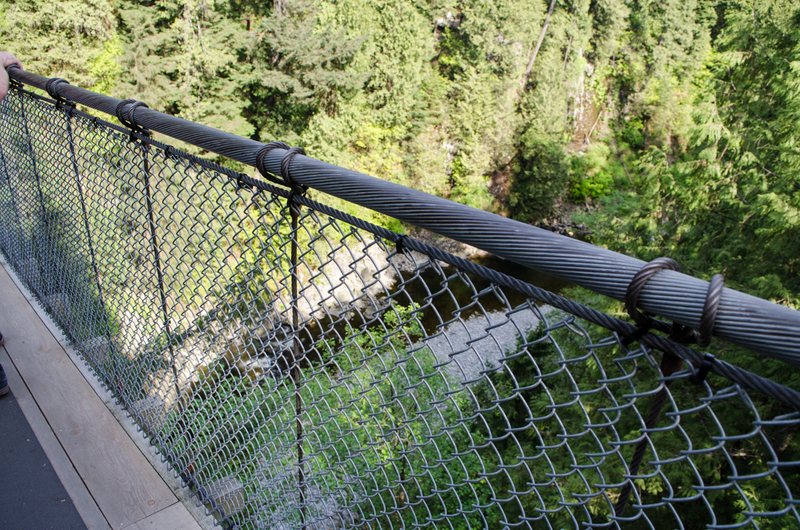 According to the website it’s 230 feet above the river. 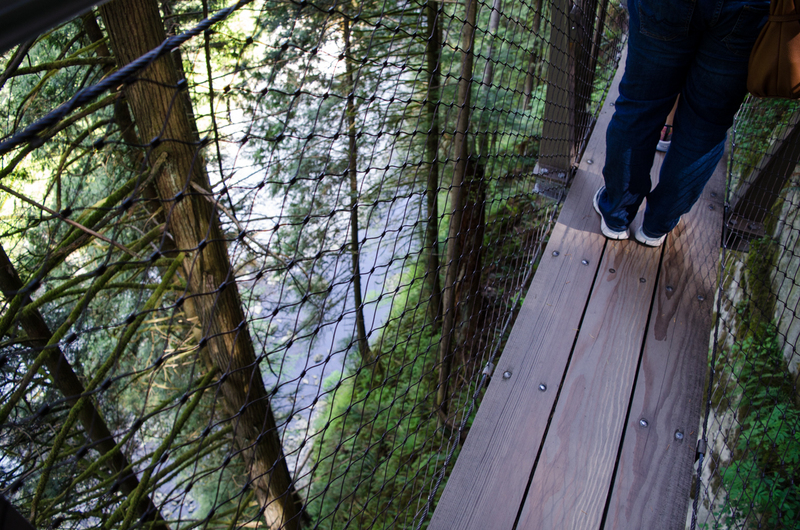 The park also has a lot of other things to check out and is very kid friendly. I’d recommend it to families with young children as there are tons of education and kid friendly things to do. 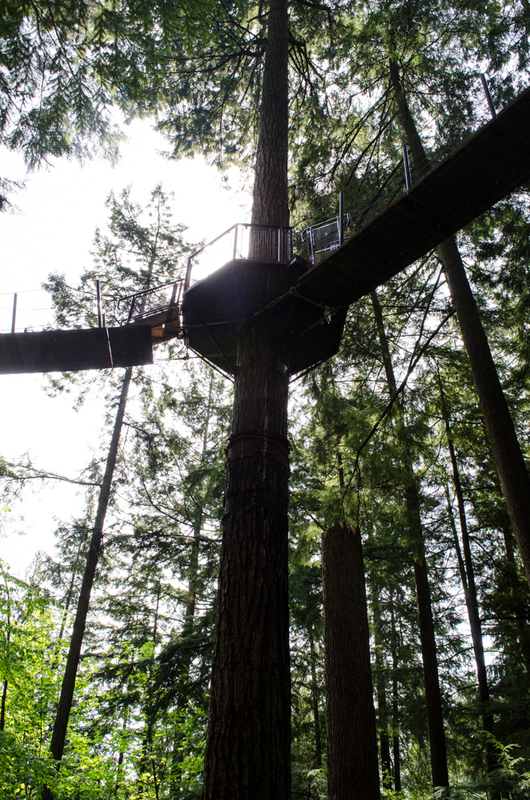 My personal favorites were the treetop adventure and the cliffwalk. 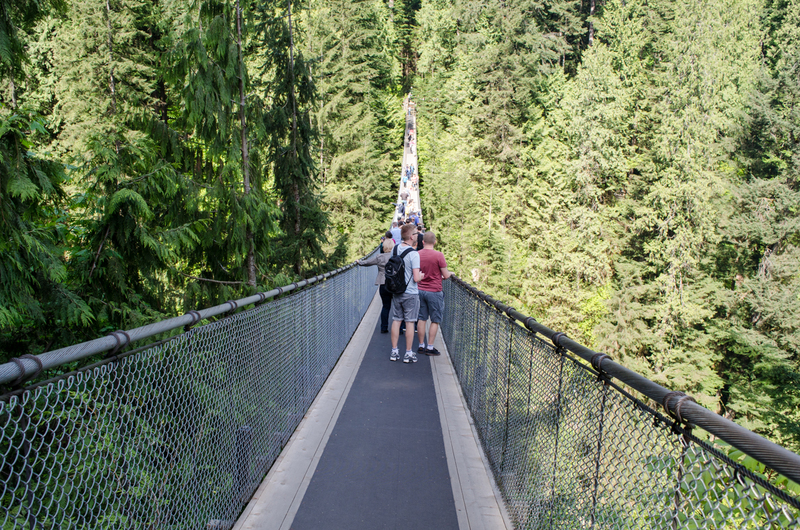 In summary, I highly recommend Capilano as a fun way to experience the beauty in Vancouver! 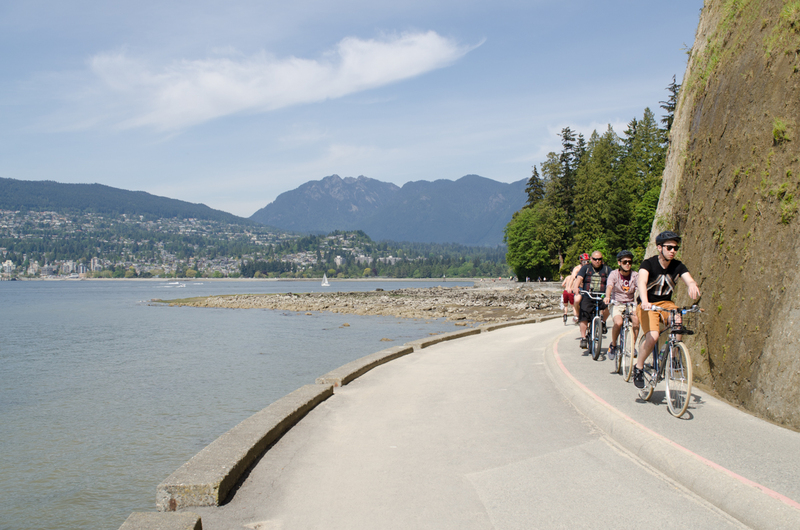 My favorite activity turning my time in Vancouver was renting a bike and biking around Stanley Park. 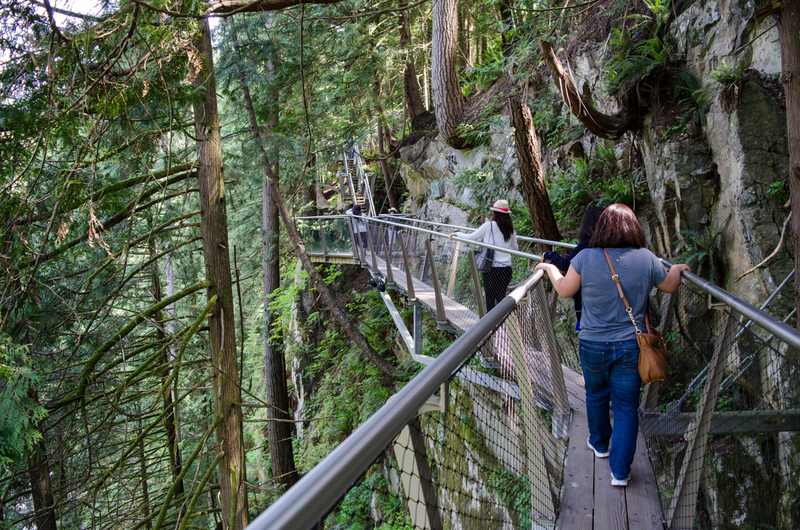 There’s a beautiful one direction path that goes around the entire length of the park and the views of the city, the forest, and everything else are just stunning. The entire route is beautiful and so easy to enjoy. Plus unlike the middle of the park where there are plenty of hills the outer wall is relatively flat which makes for a nice easy ride. 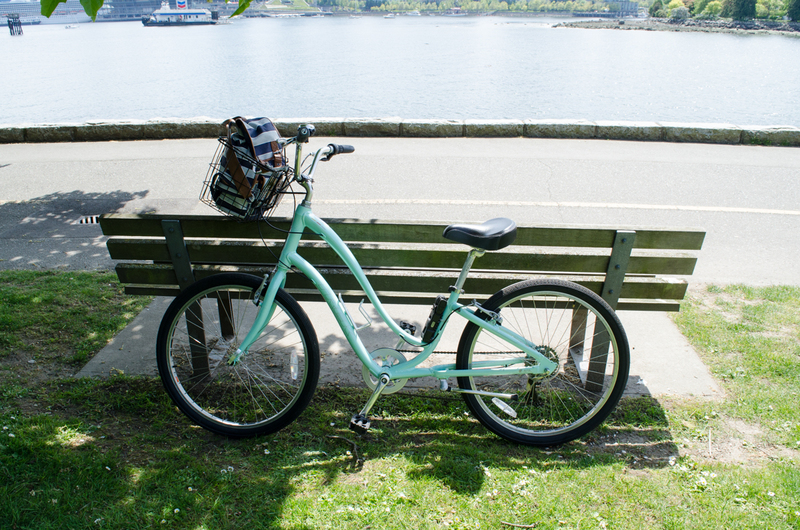 I rented a bike from Spokes which is right by Stanley Park and had a great experience with them. I highly recommend taking the free attachable basket and putting your purse/bag in it. 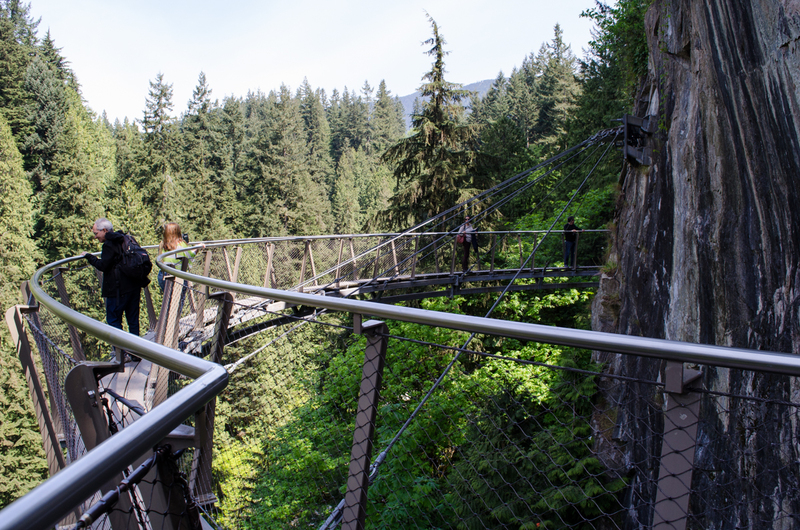 Next time I go back to Vancouver I’ll probably spend some more time exploring inside the massive park but my top recommendation for visitors is biking around the outer part! 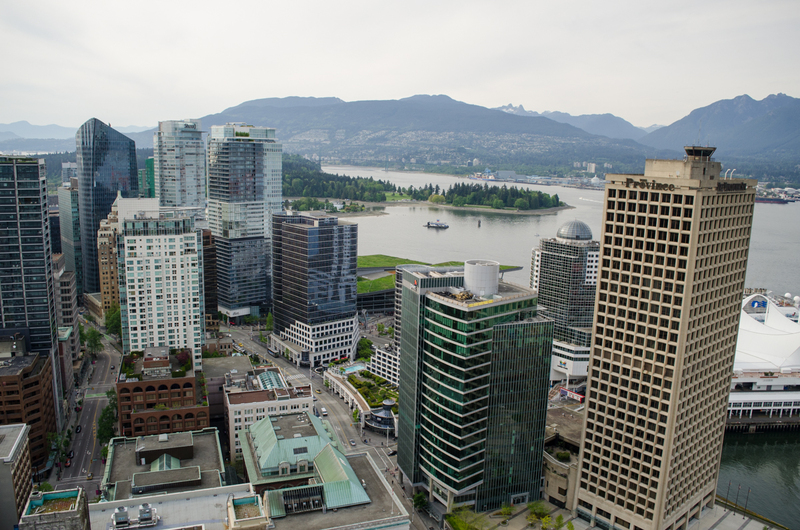 If you’re looking for a high level view of the city then you’ll enjoy Vancouver Lookout. 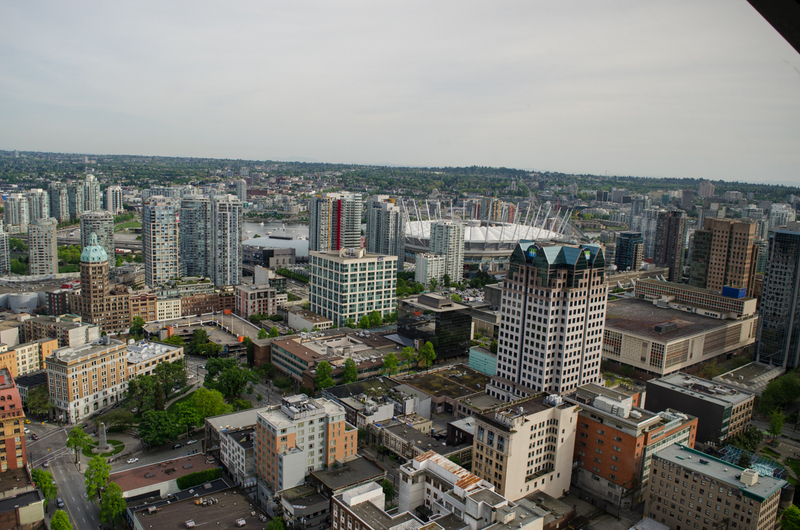 It’s in downtown Vancouver and has fantastic views of both the downtown area and everything else around. 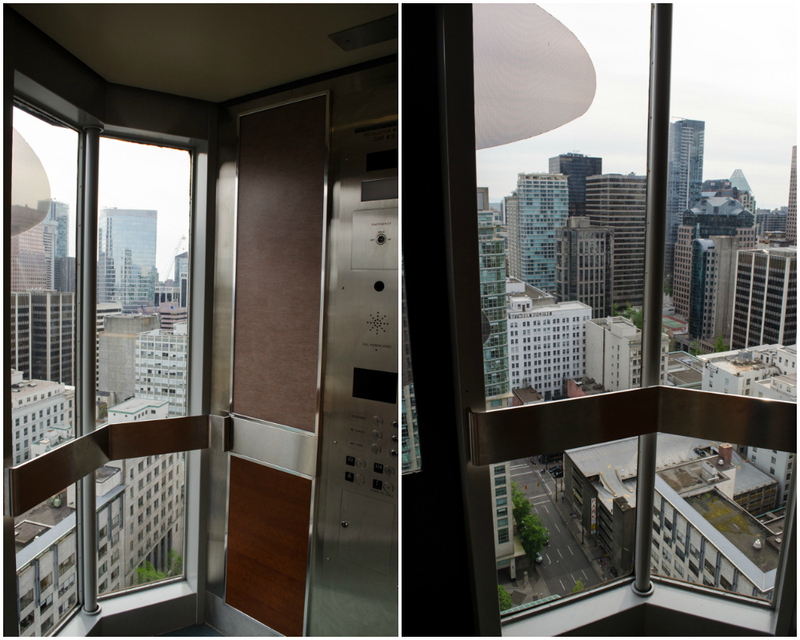 The ride up is in an elevator with glass doors that face out so if you’re afraid of heights I’d recommend standing towards the back of the elevator. They also have lots of information signs telling you what you’re looking at and pointing out points of interest. 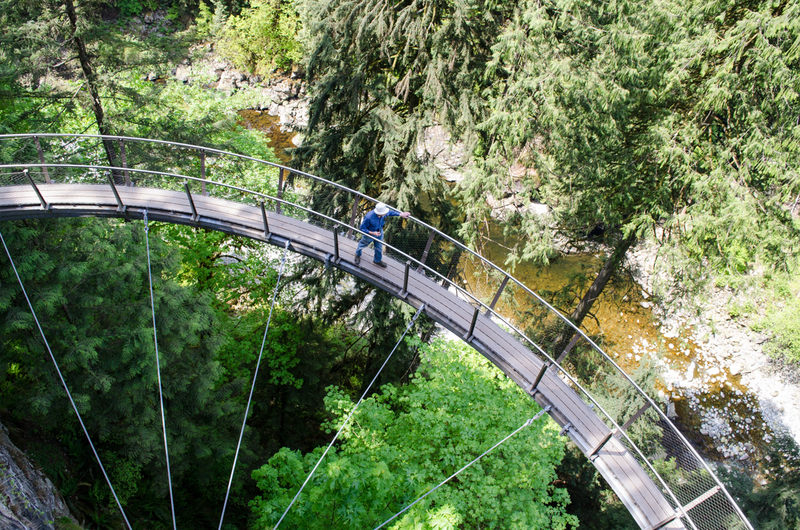 It’s a great way to learn a lot about Vancouver. 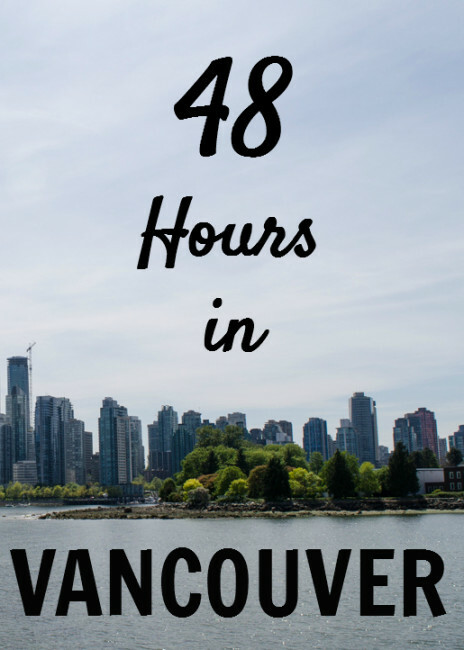 I didn’t end up having much time for shopping while I was there but if shopping is your goal than Vancouver will not disappoint. 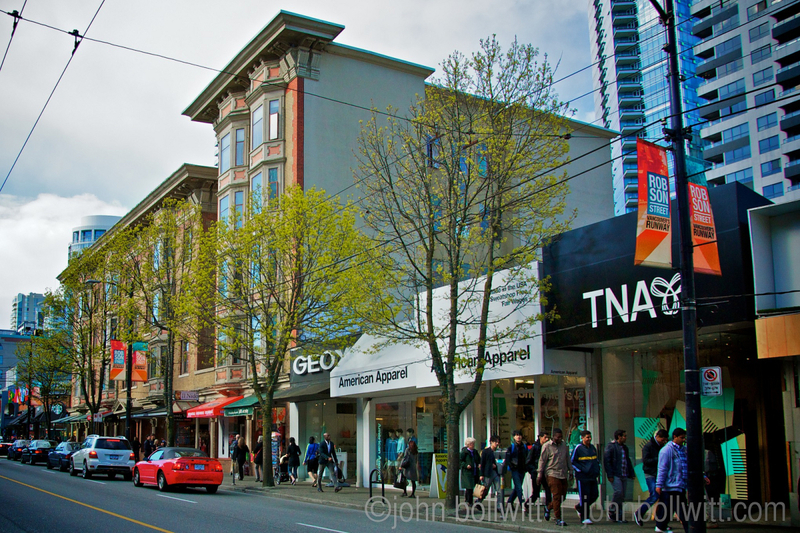 Robson Street is the most notable (and world famous) area of Vancouver for shopping and since it’s downtown I did end up walking through it. Someday I’ll go back and spend more time there! This one won’t appeal to everyone as it’s definitely a bit ho-hum but I was excited about it. 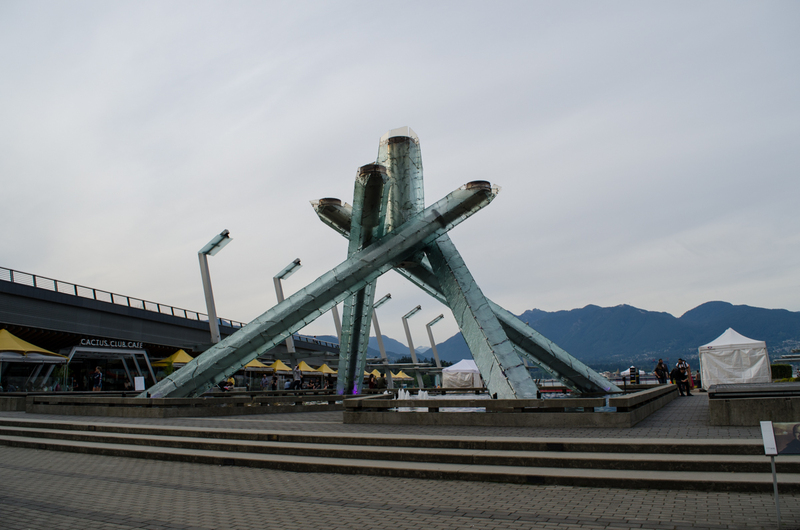 I’ve never been to a city that has hosted the Olympics before so I thought it was cool to go see the Olympic torch even if there’s not much else in the area anymore (at least as far as the Olympics go). 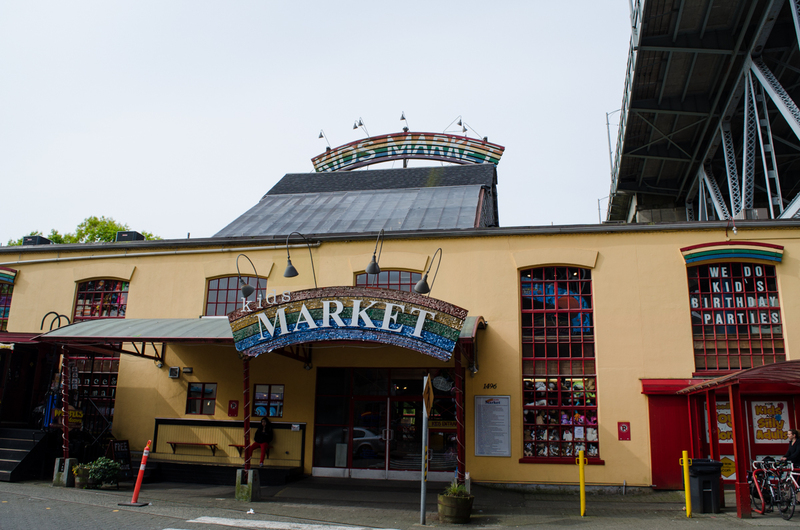 I had a bit of time on Sunday before I had to head to the airport and I decided to use that time to go explore the Granville Island Public Market. 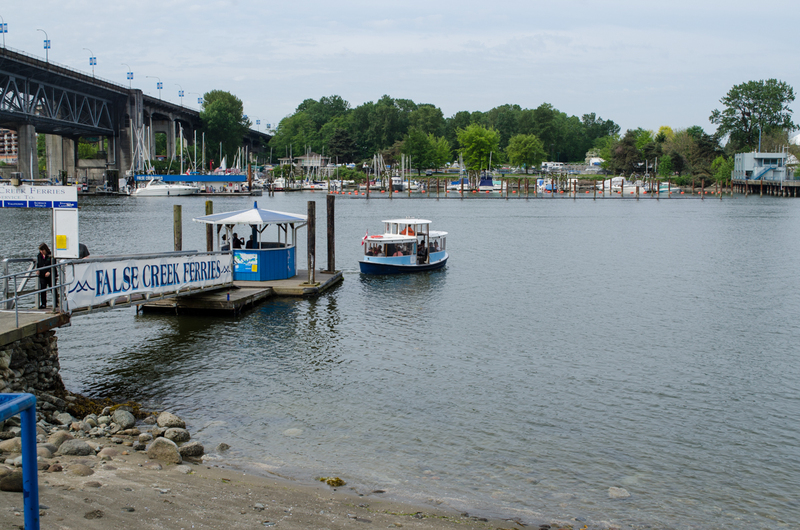 Coming from the downtown area you can take an adorable little ferry over to Granville. I forget how much it cost but it was only a couple of bucks round trip and was a fun mode of transportation. On Sunday morning everything was still a bit sleepy feeling but the market was up and running for the day. Talk about amazing looking options! 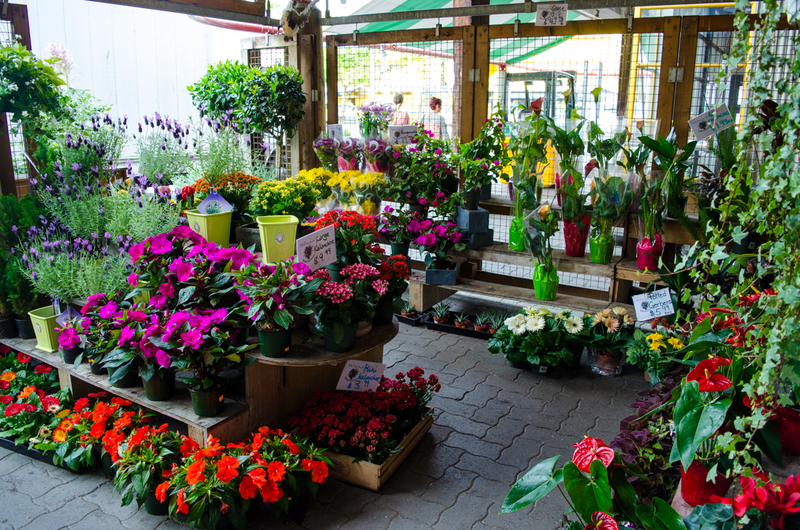 If I lived close to this market I would come every weekend just to buy produce if nothing else. 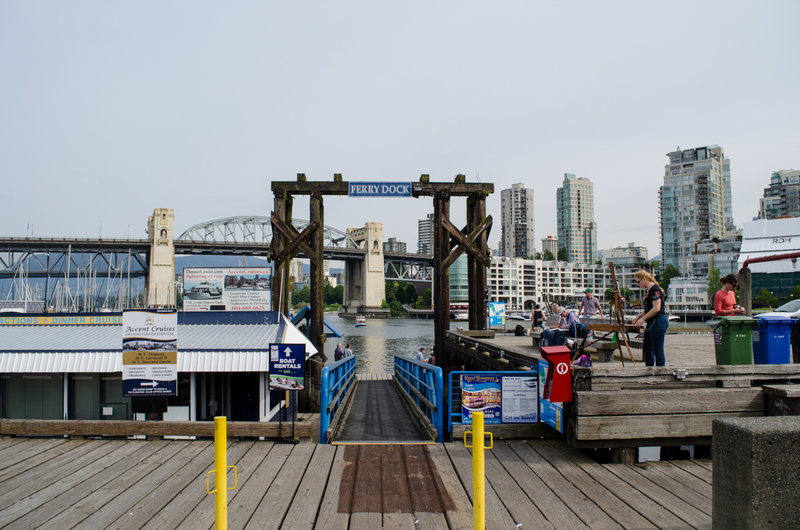 Granville Island is a fantastic place to explore. Lots of cute shops and it’s just all around a fun and relaxed place to hang out. 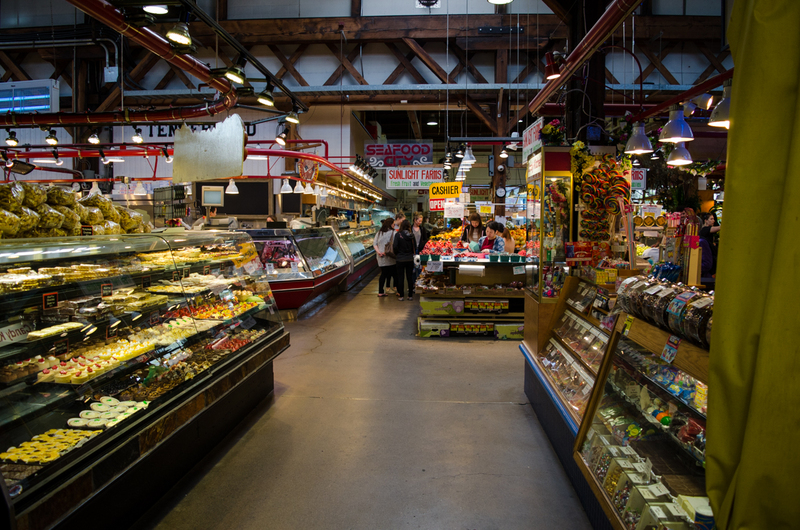 And if you have kids they also have a Kids Public Market which was super cute inside. I’d love to hear from you guys! 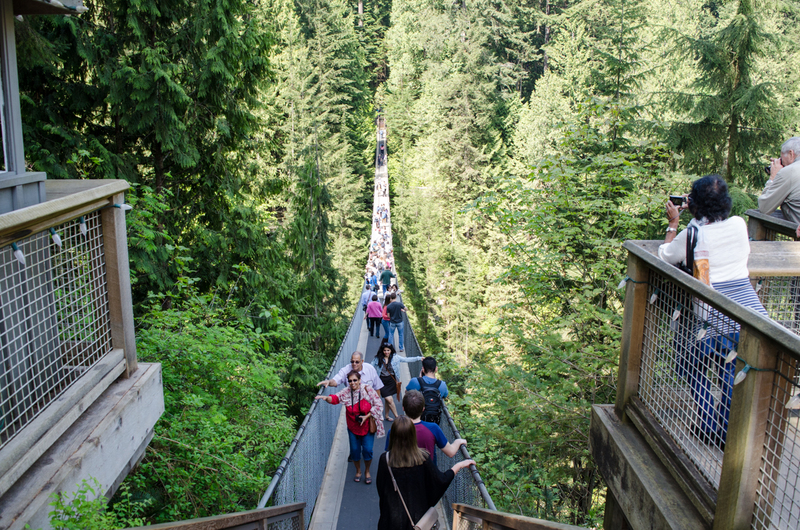 If you’ve been to Vancouver what was your favorite thing to do? I didn’t visit Canada until I was 28, and have yet to go to Mexico! I feel ya! The US is huge, it’s easy to never go to either. 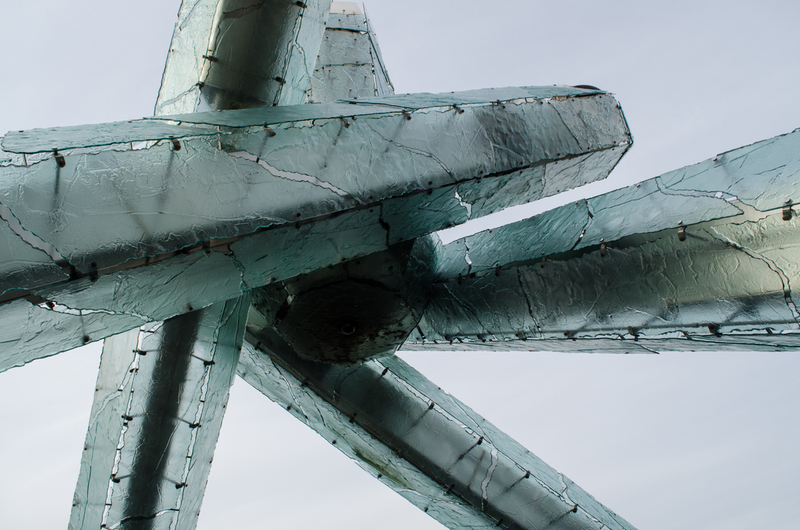 I visited Vancouver for the first time this past January and fell completely in love with it! 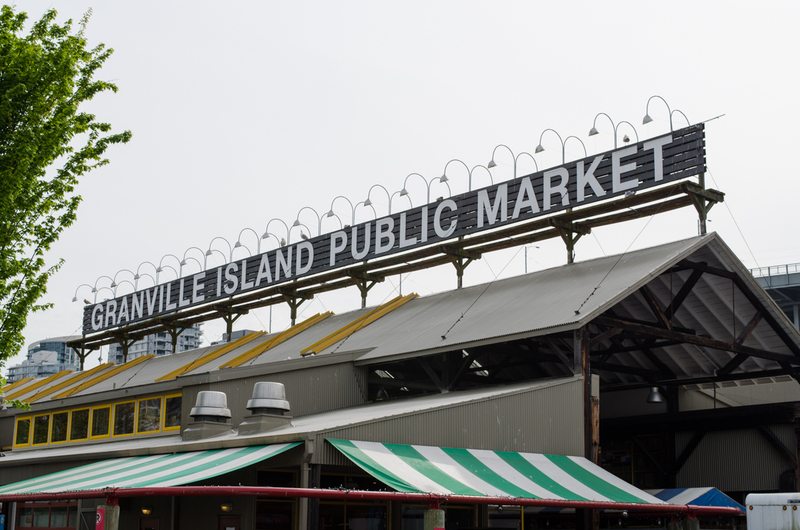 I loved Granville island. Wasn’t the entire city just breathtaking? So clean and trendy. It gave it a small town feel while still being a huge city! That sums Vancouver up beautifully! It’s got a small town feel even though it’s a large city. I love how much beautiful scenery there was in every direction even though it was very much a modern city and downtown area. 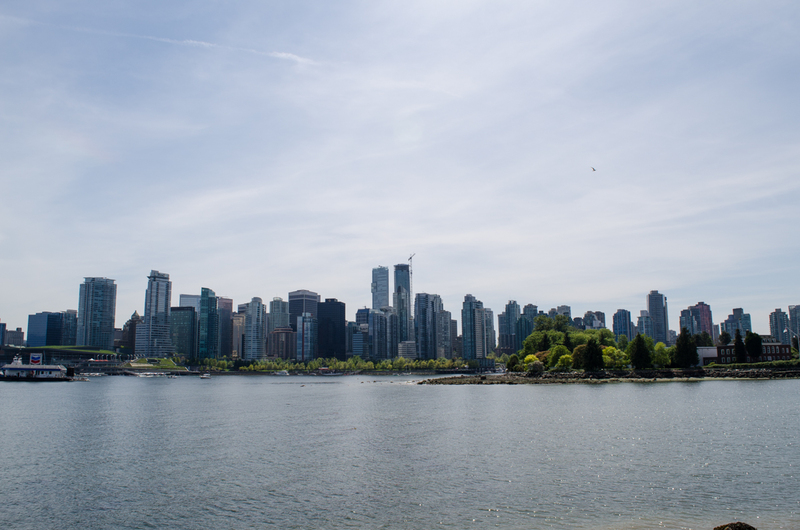 If you get a chance to go I’d highly recommend Vancouver! 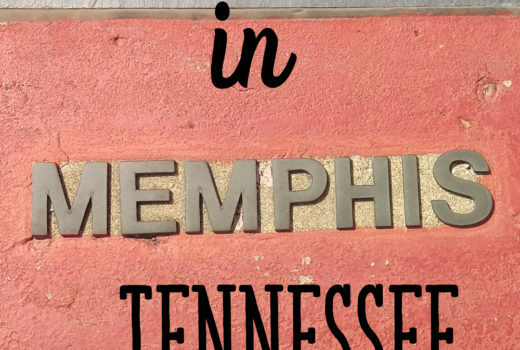 It’s such a fun city to spend a few days in. I love Vancouver! I live in Seattle and even though it’s only a three hour DRIVE to Canada, I still hardly ever go! 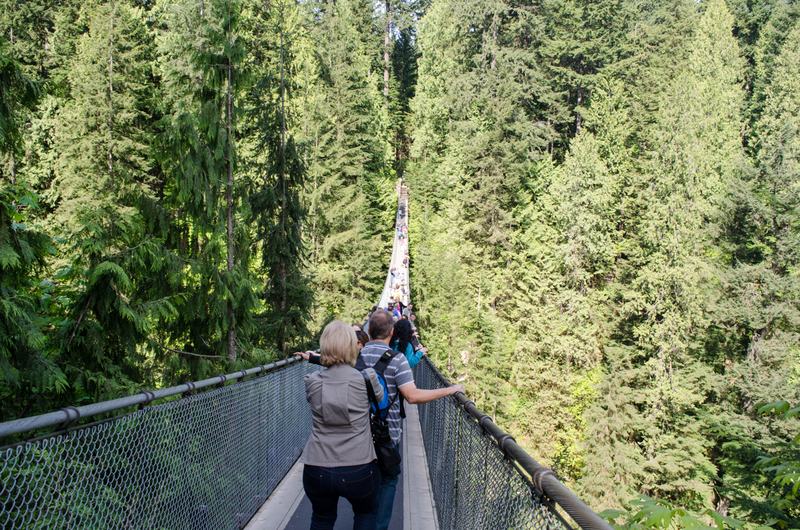 I haven’t checked out the suspension bridge yet, but it’s definitely on my list for next time! 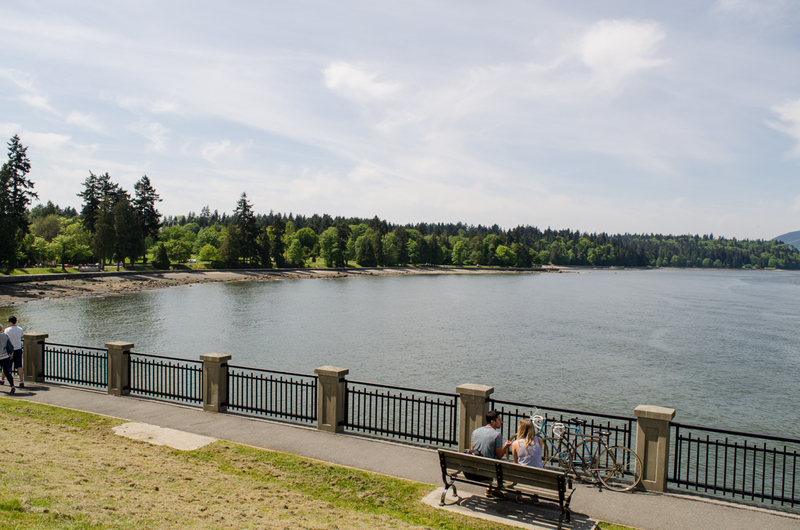 Next time you’re there, take a ferry and check our Victoria — it’s a beautiful area that will make you feel like you’re in Europe. Thanks Camila! 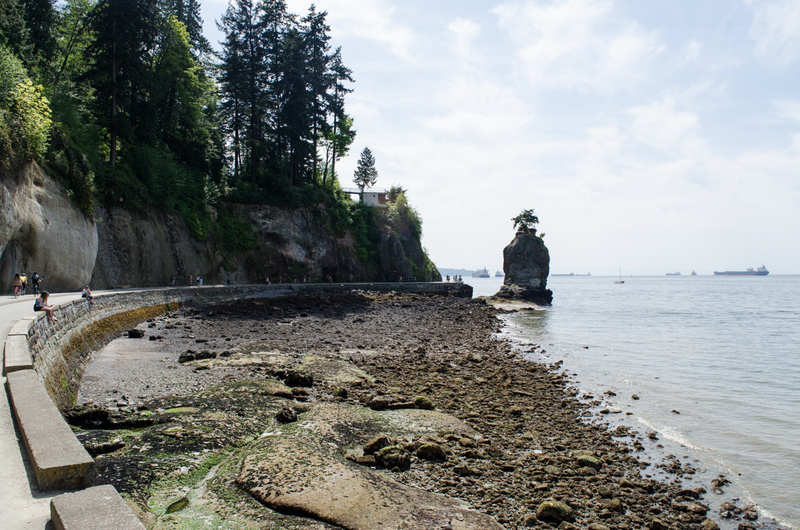 Stanley Park was my favorite for sure. Do you have any other recommendations for things to do if I go back? 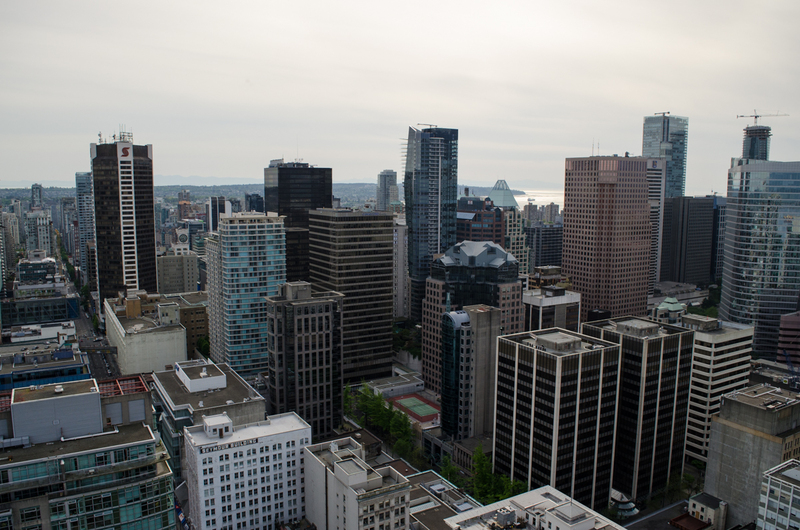 I want to go to Vancouver! It looks very modern and looks like ya’ll had great weather! 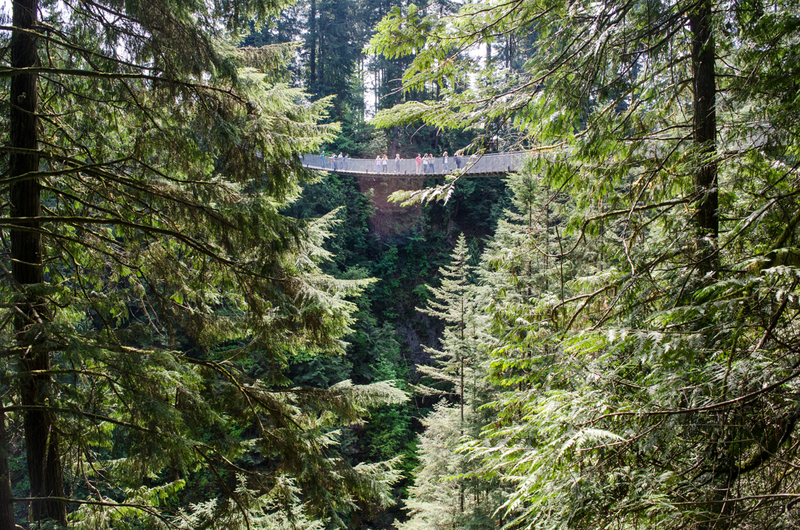 I hope to visit Vancouver once day, that suspension park bridge looks awesome! It looks like an amazing adventure! 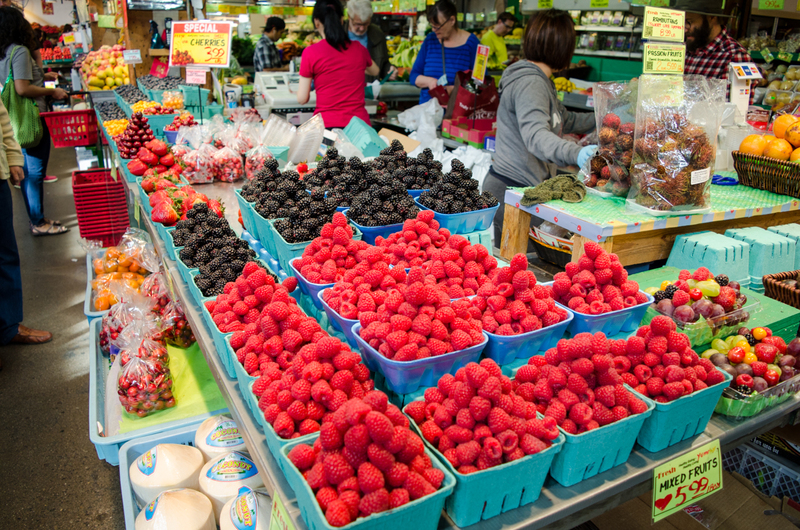 Also, those berries…..I’m dying for berries as beautiful as those! Love this article pretty much everything you covered!